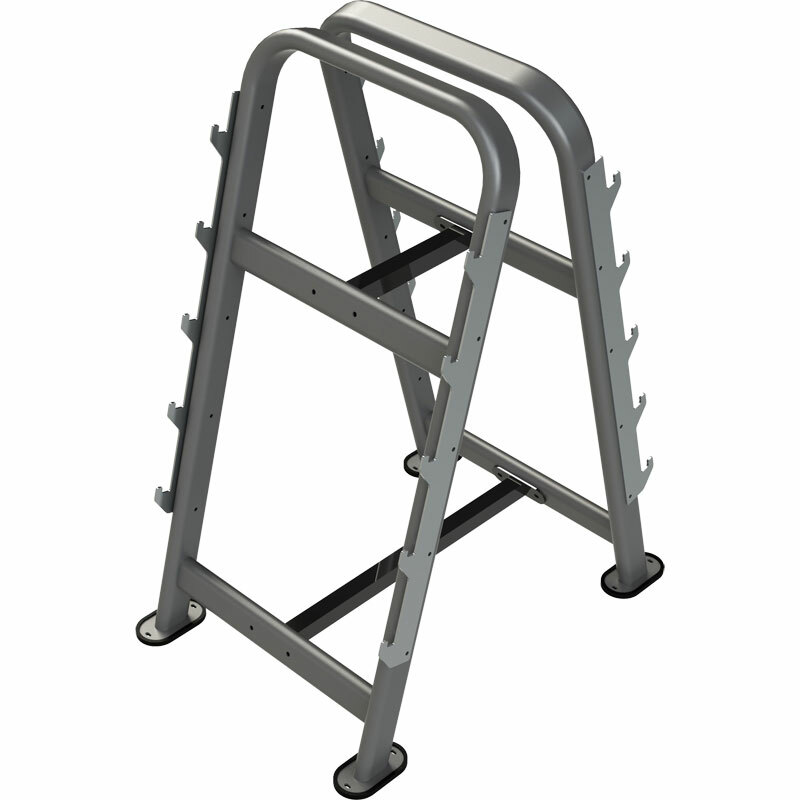 The Exigo 10 Studio Bar Barbell Rack is a single sided storage rack suitable for storing 5 barbells safely and securely. Double sided barbell storage rack. Perfect for storing 10 barbells at any one time. Suitable for fitness areas and gyms with limited space.